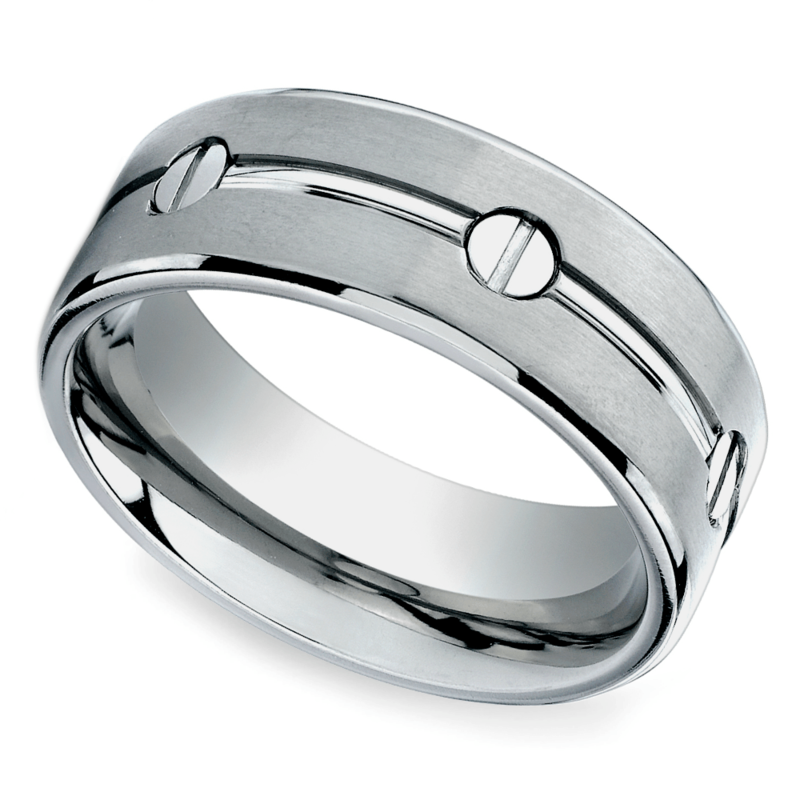 A wedding band should reflect the wearer, and this is why cool men’s wedding bands are just so—well—cool! 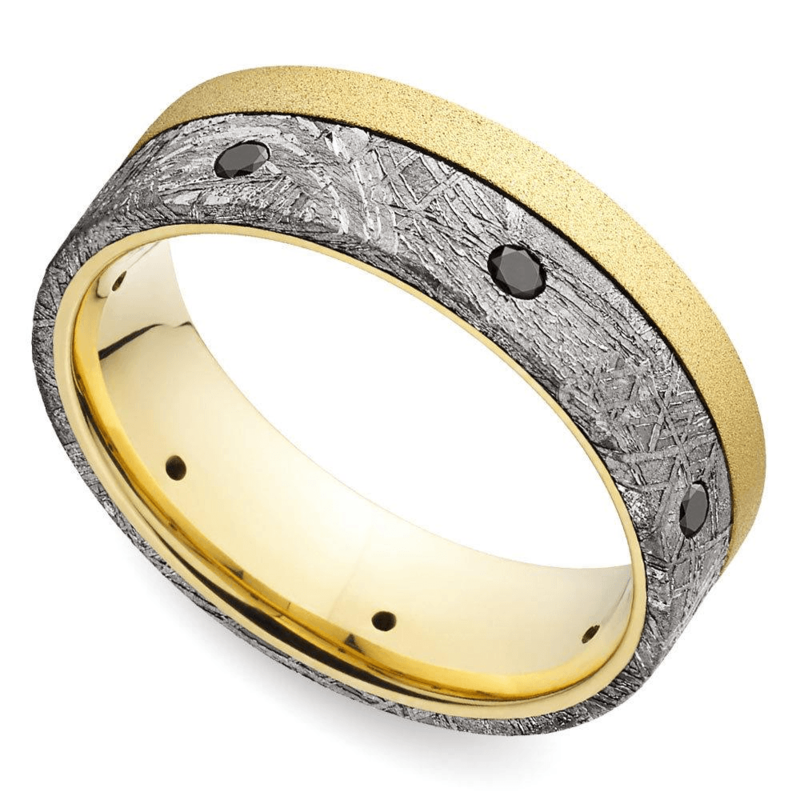 Cool themed men’s wedding bands will catch everyone’s eye for all the right reasons: they integrate his hobbies, personality, or lovable quirks to perfectly illustrate your love for him. Some are bold, some are peculiar, and some are nature-inspired. A wedding band is meant to represent your love story, your commitment and your future together, but only one band will truly capture his style and his unique soul. So choose his band with heart! 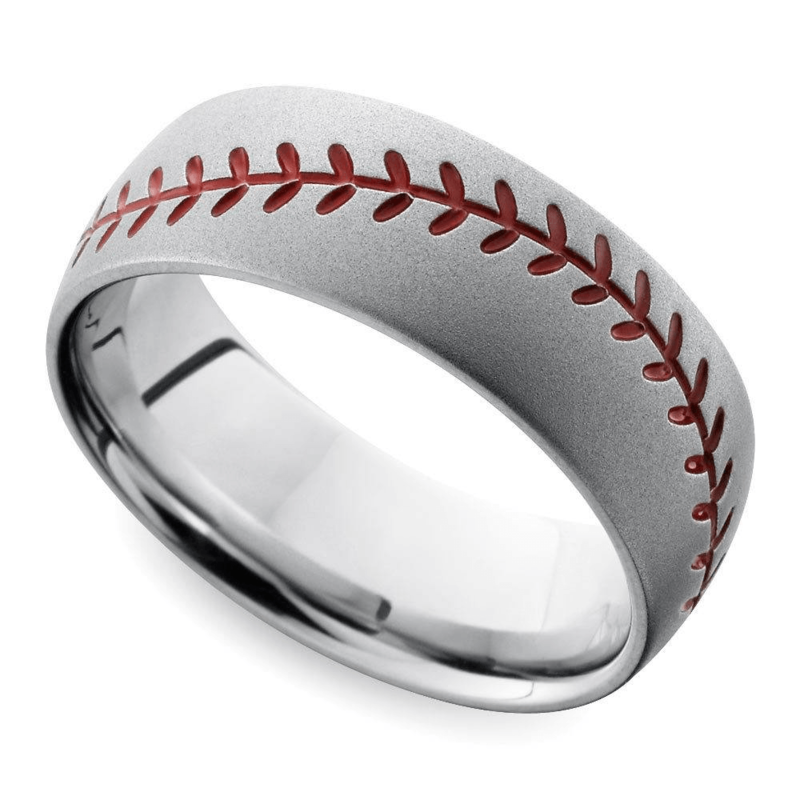 For the man who loves sports, choose a cool themed men’s wedding band that incorporates his favorite pastime. 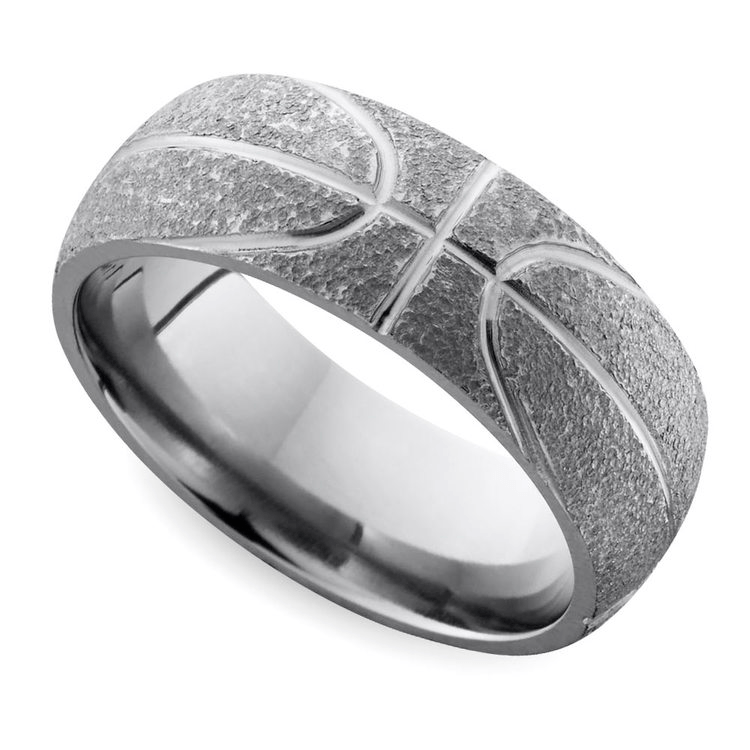 His wedding band can be crafted to resemble a basketball, a baseball ( complete with stitches! ), or a golf ball. You may even want to custom order the ring to incorporate a team mascot or just engrave a message inside the band for a sentimental detail! If your guy has an adorable geeky edge, celebrate it! This is, after all, part of why you love him. Choose a ring that integrates his hobby. Maybe this means adding a meteoric detail to his ring like Gibeon meteorite or celebrating his love of anime with a Mokume Gane band. Gibeon meteorite inlays are featured in many of our rings. Choose his favorite metal and add black diamonds for cosmic detail. For the guy who loves hunting, camping, hiking or just exploring the outdoors, choose a ring that features a nod to nature. 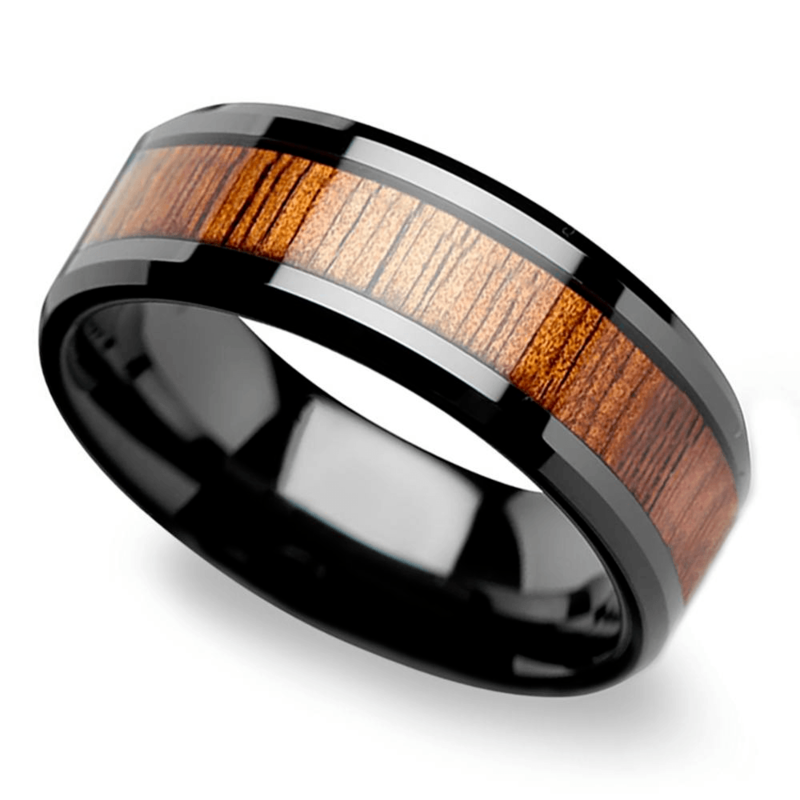 Wood inlays are crafted from a variety of different woods to add rustic appeal to his ring. You may also opt for a camo detail or even a ring that features an outline of antlers if he’s an avid hunter. Rings in the Koa Wood collection all feature polished wood inlays. Choose from more than a dozen different wood varieties from warm oak to exotic koa. When he’s hunting, ensure that even his ring blends into his surrounding! 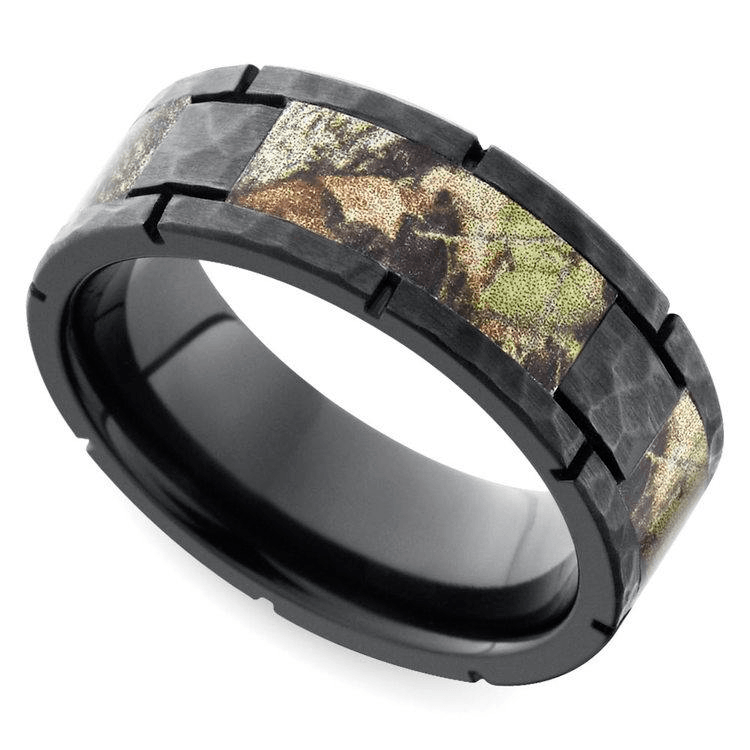 Camo details capture the natural design of the landscape and add inspiration to his ring! 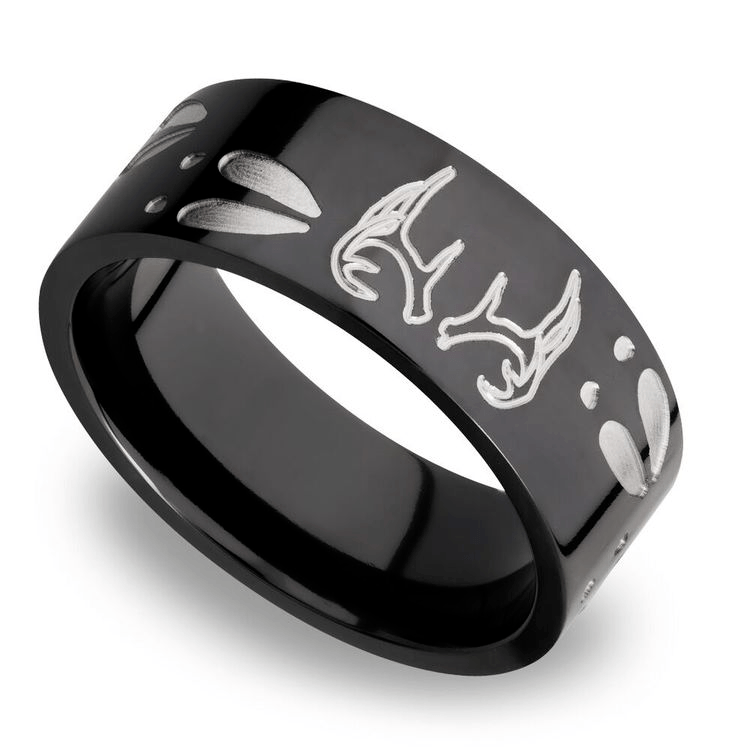 If antlers are on display in his man-cave, take that detail and include it on his ring. While hunting season may be his personal holiday, you can celebrate your ‘dear’ love with engraved deer details. Chi-Town Forever! Or maybe he’s loyal to Seattle? 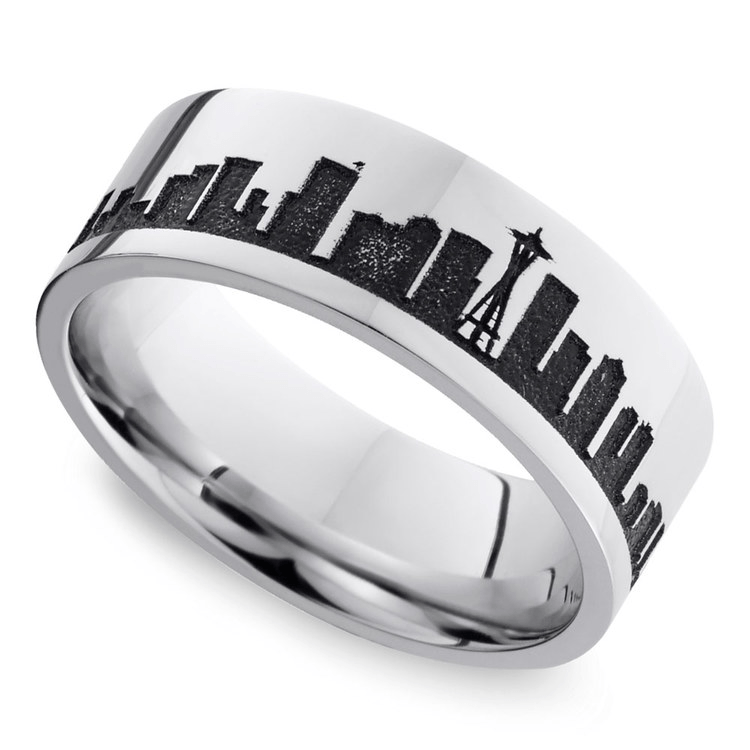 Whatever city he calls home, commemorate his hometown with a skyline detail on his ring. If you don’t find his city in the collection, Brilliance can always design a custom wedding band that celebrates his city. If he’s always tinkering around in the garage and has a love of repair and DIY, choose a ring that takes inspiration from his tools! 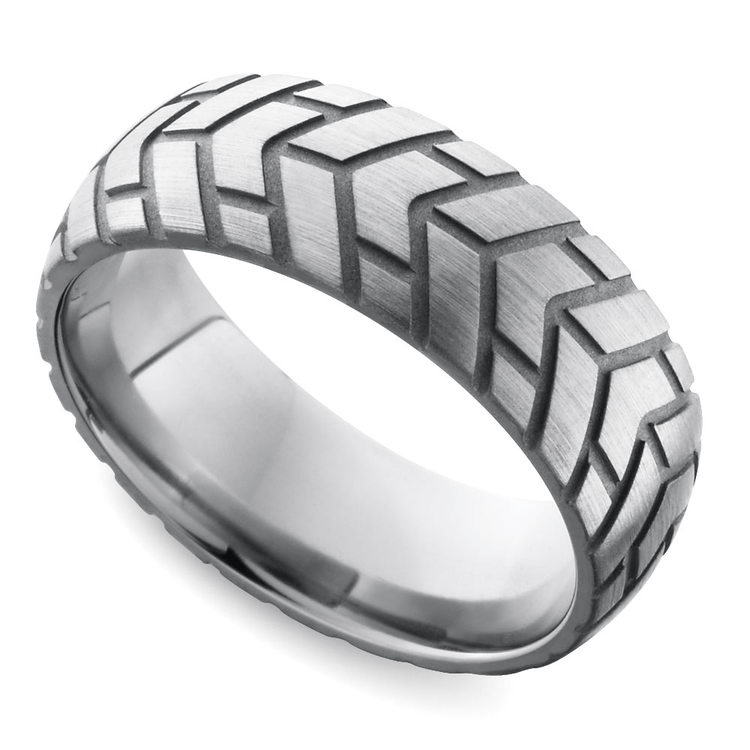 A funky ring with screw details or a band that features intricate gears celebrates your favorite Mr. Fix-It. If he doesn’t miss a Nascar race and spends his days revamping his favorite old hotrod, his ring should include automotive inspiration! Yes, there is a band that is designed to look like a tire, and, really, he needs it! There is a cool themed men’s ring that is waiting for him! You just have to find it. 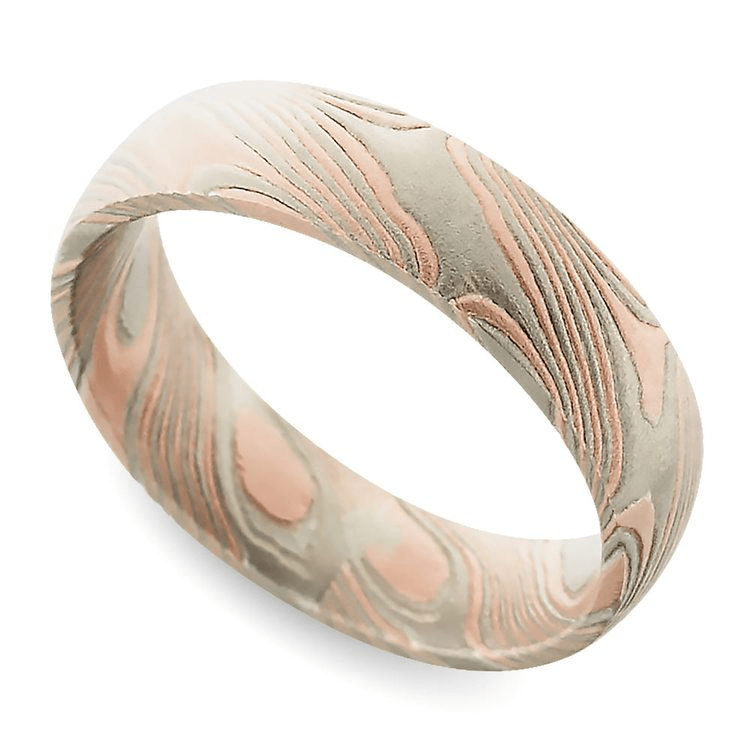 Or work with a designer to create a one-of-a-kind band that is as unique as him! 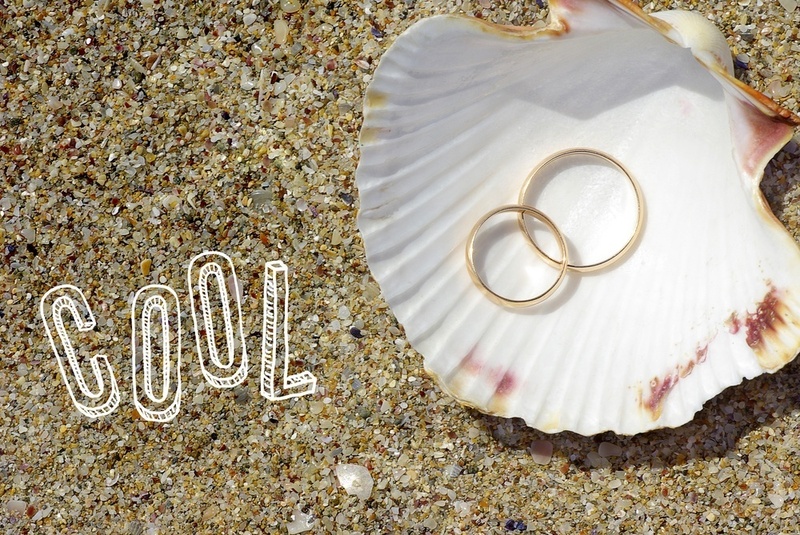 Celebrate his DIY passions, his sports enthusiasm, his inner loveable geek or his love of the outdoors and choose a ring that is both cool and unique to seal those unbreakable vows!